Photo by Photo Credit: Joe Lederer – © Universal Pictures /DreamWorks II Distribution Co., LLC and Walden Media, LLC. All Rights Reserved. Eight-year old Ethan spends his days with a stray dog, retriever, named Bailey. What Ethan does not know about his dog is that he can think and express his feelings, not as loud as we wish, though. Also, Bailey every time finds himself surprised when he opens his eyes as a puppy, after being reborn as a different gender and breed. As Bailey/Buddy/Tino and Ellie will have to relive several lifetimes, Bailey will come to know that there is much bigger reason for him to be alive again… And for that, he will have to embark himself on journey where through several owners he will never forget the one who loved him the most – Ethan. A DOG’S PURPOSE is based on the novel by W. Bruce Cameron and directed by Lasse Hallström who, I must say, had a tough task to manage. 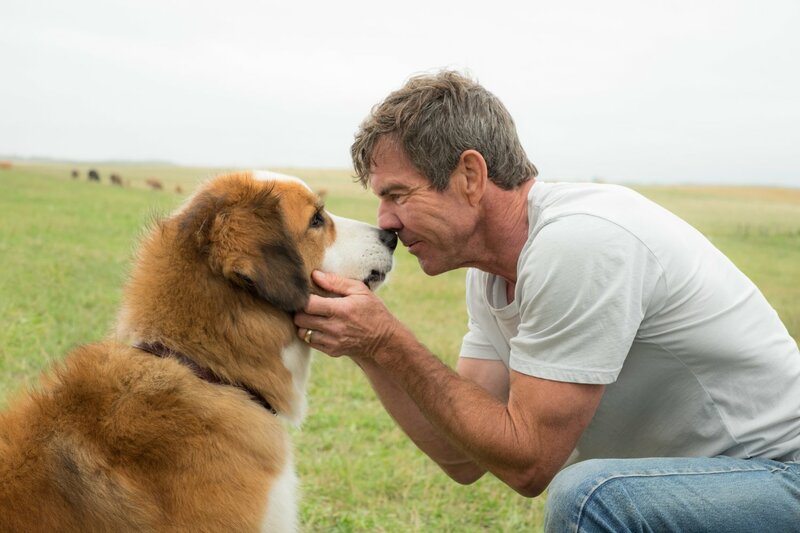 However, despite being able to tackle the emotional part of the storyline that actually worked, I am afraid there was something important missing in the film – a genuine voice that Bailey needed to hold me on until the movie ends. Josh Gad who gave his voice to the dog does not do an impressive job in terms of capturing the dog’s desperation, happiness, or sadness. It always felt like Josh Gad was reading the line as quick as possible without paying attention to the tone of his voice. As a whole, A DOG’S PURPOSE is a charming movie to watch, if not paid a lot of attention to the voice part. W. Bruce Cameron truly does an incredible job by showing us the life from dog’s perspective. It will certainly amaze you the way Bailey looks for Ethan, or even when he recognizes the smell of Hannah when he meets her after so many years and lives. Bailey is a loyal and kind dog who knew how important is to fulfil his owners’ life. He sacrifices his life if required, he pushes himself to the limit in order to fulfil his purpose. But the cutest part of it, of course, by the time when you end watching it, you will wish to hug your doggie as tight as you can if you have one… Because after all these sacrifices, this is the least we can do for them… Because to cherish the happiness should be a mutual purposes between the dog and his owners.. and nothing can be better than that….